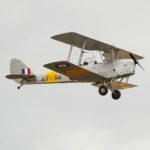 Tiger Moth flights give you an incredible opportunity to experience a WWII open cockpit biplane over fantastic locations. With acrobatics or scenic flights you can experience the majesty of these incredible pieces of history. Weather its a sedate joy flight you are after or one that gives you barrel rolls and loops, with either one you are guaranteed some amazing views from your cockpit. 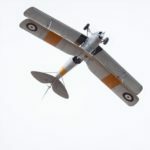 Either way, the Tiger Moth flight is perfect for any aviation enthusiast.